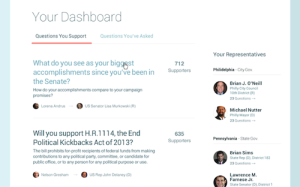 AskThem is our new non-profit project for questions-and-answers with elected officials at every level of government. Please find below the names of elected officials who have already volunteered to respond to popular questions from their constituents (about two per month) as verified responders on AskThem. We’ll be continually updating this list as more elected officials join our non-partisan project for civic engagement. For more info on how AskThem facilitates online public dialogue, please see our slide deck for elected officials. Our big thanks to these #opengov leaders, listed below, we’ll work together to build a more responsive government. 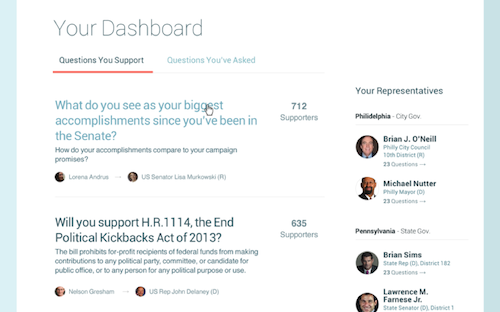 And this is just the start – remember, elected officials can sign up now and be listed here, takes just a minute, or email josh at askthem.io for more info and to get in touch. It’s free of charge and open to everyone, with open data for a better representative democracy. Here’s looking ahead to public launch – get in touch for a site preview beforehand.